OG Kush CBD cannabis seeds by Dinafem Seeds belong to a Sativa-dominant, feminized cannabis strain that originates from the cross of an OG Kush and a CBD rich strain. OG Kush is what everyone in the States aspires to, which is not surprising at all given its complexity and high-quality. 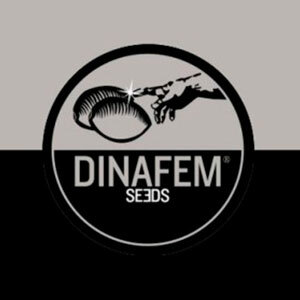 All things considered, Dinafem Seeds could not miss the chance to create a high-CBD version noted for harmoniously pulling together both sides of the coin: the recreational part and the therapeutic part. We are sure that OG Kush CBD will cast a spell on OG-lovers as well as on those users interested in tasting a plant with a more moderate effect and the ability to reduce anxiety, muscle tension or even stimulate their appetite. As far as its effect is concerned, it has very little to do with the feminized and autoflowering versions. 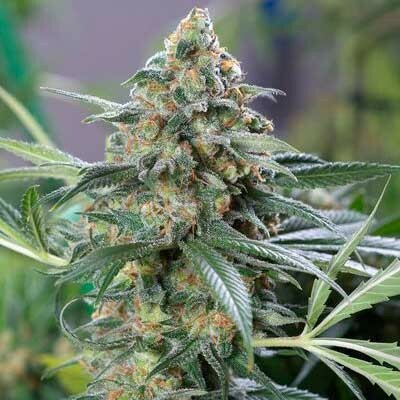 All those passionate about strains with complex flavours and aromas, accompanied by hints of lemon, petrol, wood and species, are sure to fall for this cannabis seed. Especially, when they get to see how easy it is to obtain generous crops of compact and smelly buds. OG Kush CBD marijuana seeds evolve into beautiful, slender plants with short distance between nodes and broad leaves. An organic farming method is preferred if to be used for therapeutic purposes. Although a 1:1 THC/CBD ratio is guaranteed, some phenotypes can reach a 1:2 ratio if grown in ideal conditions. OG Kush CBD is a cannabis plant that boasts a really intense flavour and aroma, with notes of lemon, oil, wood and species. Its effect, both physical and cerebral, is easy to put up with and can create a state of euphoria that remains for a while. People looking for a rich flavour and gentle effect are going to love it.